Rhonda & our (six) children went to visit family in KY. That leaves me a night by myself and there are few things that re-charge my batteries more than hours beside a fire. 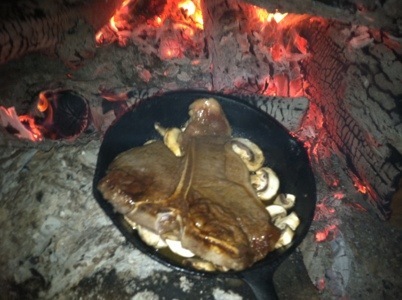 A t-bone steak with some mushrooms and a fire roasted potato are tough to beat. 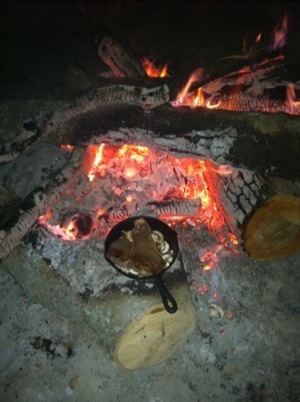 In fact, Persimmon (our Corgi) and I just decided to sleep outside and make it an all nighter beneath the stars.